Freshwater ecosystems in the Swiss plateau are threatened by multiple stressors that deteriorate water quality and hydromorphology. To restore these ecosystems and stop the biodiversity decline, multiple management measures will be implemented over the next decades. We propose methods for a spatial and temporal prioritisation to coordinate measures from different sectors and maximise their effectiveness while considering other societal needs. In this study, we try to quantify the current state of knowledge on the dominant cause-effect relationships regarding the decrease in ecological status and biodiversity in rivers in the Swiss plateau. Furthermore, we use this knowledge to identify river management strategies that can be expected to have positive effects on the ecological state and biodiversity of rivers in the Swiss plateau, while also increasing the provision of some ecosystem services without significantly decreasing others. These objectives are addressed in close collaboration with stakeholders, primarily professionals from governmental agencies in the field of surface water protection, to profit from their knowledge and creativity and to support the design of alternatives that may have the potential of being implemented in Swiss river management plans. The case study [pdf, 1.9 MB, English], as well as the summary [pdf, 376 KB, English], are available for download. Kuemmerlen, Mathias et al. 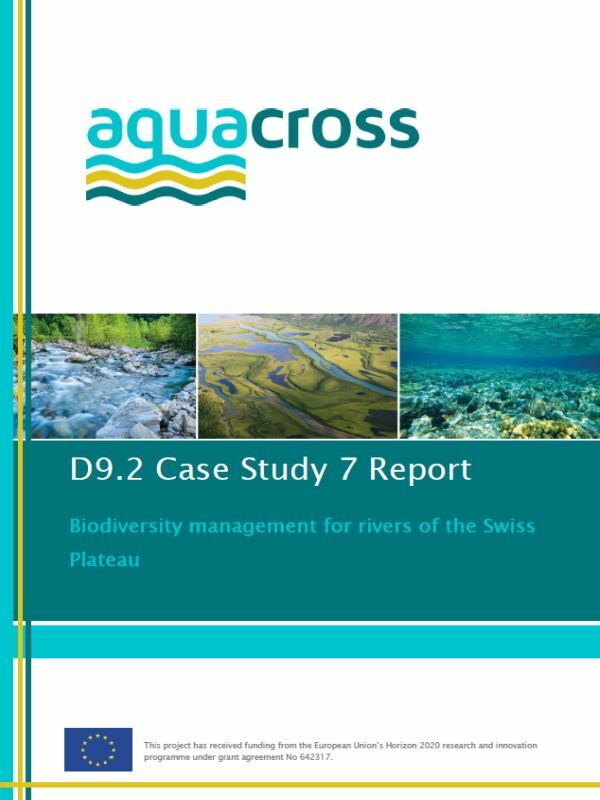 2018: Case Study 7 Report: Biodiversity Management for Rivers of the Swiss Plateau. Eawag, Ecologic Institute, University of Liverpool: Dübendorf, Berlin, Liverpool.